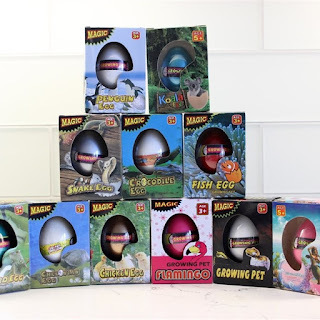 Check out this *GIFT IDEA* Magic Growing Eggs $4.59 (Retail $12.99)! Can teach children about animals hatching process! Put an egg into the glass of water, it will slowly hatch and crack the eggshell, you can hatch a dinosaur, penguin or animal of choice. Congratulations, then, you can get a pet treasure!